GOA, India – Generally speaking, the South African car-buyer is one picky creature. And that means smaller, lesser-known brands often have to work twice as hard to convince said consumers to sign on the dotted line. One such automaker is Mahindra, which has slowly but surely been building its reputation in South Africa, having arrived as long ago as 2004. Indeed, the local arm of the Indian manufacturer registered record sales in 2018, with passenger vehicles such as the XUV500 and KUV100 selling in fairly respectable numbers alongside the brand’s more established (and now locally assembled) Pik Up bakkie. So, what’s next from the Mumbai-based brand? Well, it’s quite an important one, and you’re looking at it. This is the all-new XUV300, which borrows its X100 platform from the SsangYong Tivoli, and is on its way to South Africa to wade into the ruthless small crossover segment. And at first glance, you can tell exactly the sorts of rivals Mahindra hopes to target. Yes, the XUV300 offers some fairly bold styling, with the compact body boasting a few bulging panels plus short overhangs. That said, the newcomer’s beige interior is unlikely to find favour among South Africans. While potential buyers stepping into the cabin certainly won’t be blown away, once they start poking around they’ll appreciate the sort of kit they have access to. In W8 guise, for instance, the XUV300 is packed with standard features, including an infotainment system with smartphone mirroring and navigation, a pair of USB ports, dual-zone climate control (complete with saveable pre-sets), a sunroof, leather seats and more storage compartments than you’ll know what to do with. The new crossover will be offered with two engine options; an 82 kW 1,2-litre turbo-triple and a 1,5-litre four-cylinder turbodiesel. Both units are mated to a six-speed manual gearbox as an automatic option is not yet offered. I took the turbodiesel through the bustling streets of Goa and was left suitably impressed. Considering India’s infamously erratic driving culture (and the sheer number of vehicles on the road), a car designed for this sort of market needs to be quick on its feet. And that’s why the XUV300’s powertrain was one of the most essential pieces of the puzzle. In short, Mahindra has largely hit the mark with this engine. Almost immediately, I noticed its refinement; despite being an oil-burner, the mill produced very little rattle at idle and remained fairly smooth on the move, too. With 300 N.m of torque, it offers sufficient grunt at lower engine speeds, which renders overtaking and highway merging fairly effortless. That said, thanks to short gear ratios, a limited rev range and a spot of turbolag, I found myself shifting more often than I’d have liked. Still, the XUV300’s clutch and gearbox proved easy to modulate, which makes it well suited to the cut and thrust of city driving. With front MacPherson struts and rear twist beams with coil springs, the XUV300 offers 180 mm of ground clearance and an impressive ride quality that took everything the roads of India could throw at it (I suspect it’ll ride even better on local soil). And, despite being a tallish crossover, the newcomer manages to counteract body roll pretty effectively. The chassis delivers a fun and surprisingly dynamic driving experience, further accentuated by a steering system fitted with a stiffness controller that offers normal, comfort and sport modes. The former two are ideal for in-city use and parking jobs, but the sweet spot is the latter as it adds weight and some feel to the tiller (even if overall feedback is limited). Interestingly, Mahindra has also added a “wheel direction indicator” on the central display. 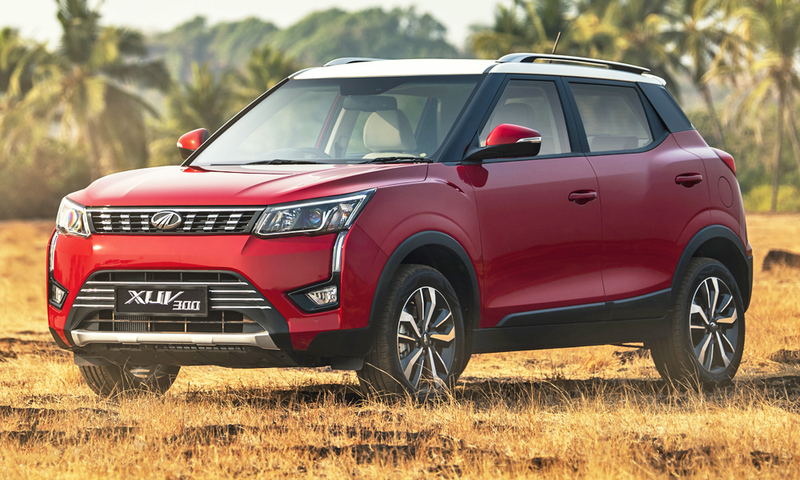 So, if Mahindra’s latest product is able to undercut its main competitors while also offering more standard kit, I suspect many a picky buyer will be convinced to slip in behind the wheel of the XUV300 for a quick test drive. And they’ll likely be very pleasantly surprised.